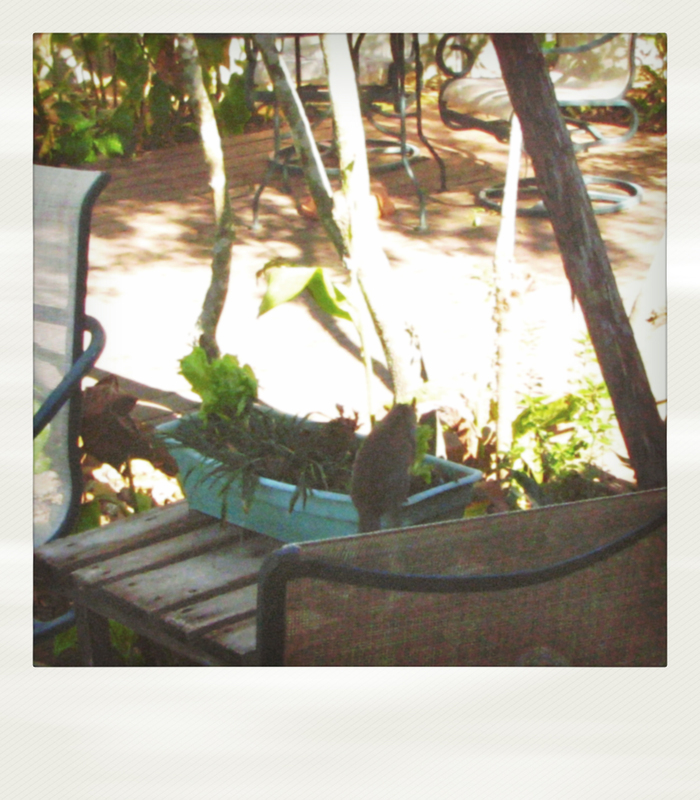 I looked out my window the other day and found a squirrel eating the lettuce I use for lunch every day. He didn’t want to share! I’ve had to run him off several times so I’m considering giving him his own pot near the tree where I’ve seen his nest. At least he’s healthy! 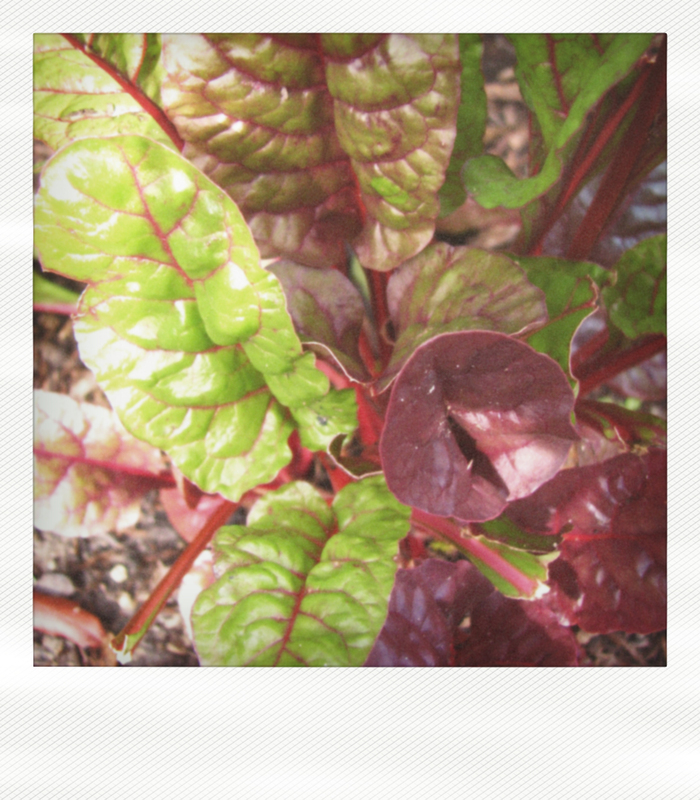 Something Mr Squirrel hasn’t gotten into yet is my ‘Red Rhubarb’ swiss chard that I put olive oil and fresh ground pepper on for a snack. 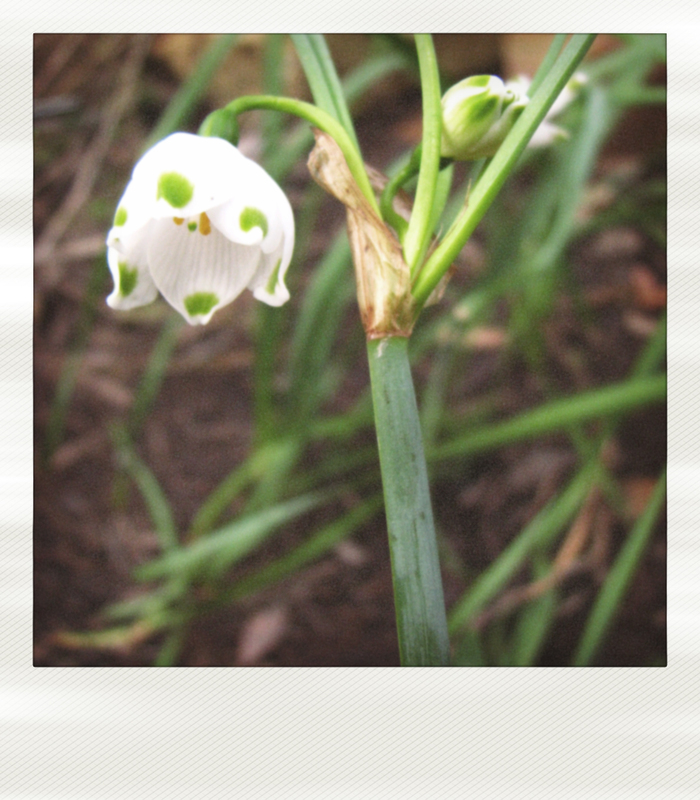 Last year my friend Chris (who I authored HEIRLOOM BULBS FOR TODAY with) gave me a bulb that was featured in our book, a Leucojum – or white snowflake. It was like I received it anew when I noticed it had come back up the other day! Posted on February 10, 2012, in happening in my life, outside my window. Bookmark the permalink. 2 Comments. Yes’m. It is! Started seeing little blooms nodding almost 2 weeks ago.